Gainesville Coins has a very limited number of these fantastic 2011 proof silver coins celebrating 100 year of the world-famous M1911 Colt .45 pistol. 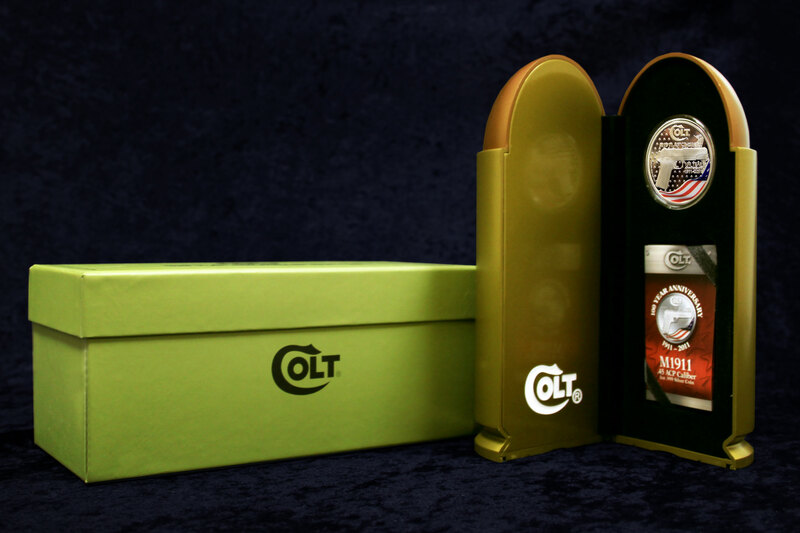 Each 1 oz proof silver coin is made of 99.9% pure silver and comes in a custom-made case in the shape of a .45 cartridge, with booklet and numbered Certificate of Authenticity. The case is packed in an olive drab box made to look like an Army ammo box. 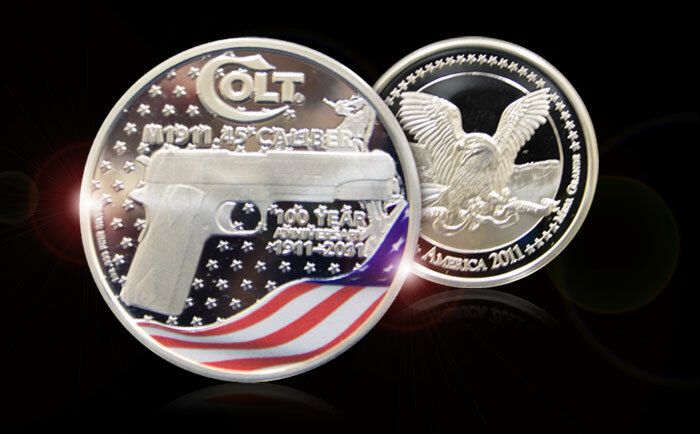 The obverse of the coin features the image of the .45 semiautomatic, with enameled red, white, and blue American flag and Colt logo. The reverse an American Bald Eagle surrounded by a field of stars. Produced by the New Zealand Mint in 2011, this commemorative coin to an American legend was limited to 20,000 coins. This pure silver coin is $2 legal tender of the Mesa Grande tribe of American Indians.